I eat sandwiches a lot – like, at least three times a week. Sometimes I make my own and other times I go out and see what new and trendy sandwiches are out there. (Yes, I really do this.) Just the other day I was at the grocery store and I decided to check out what sandwich they were promoting in the deli. Good thing I did, because, if not, I wouldn’t have discovered my new favorite sandwich of the season: a Turkey-Cranberry Holiday Sub. 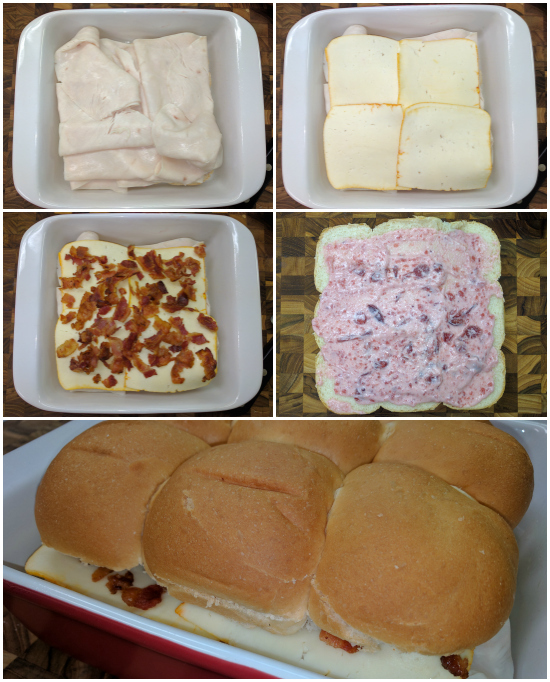 Today, I’m sharing an easy way to make your holiday sandwich dreams come true. 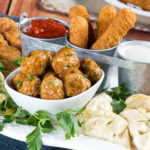 The best part is that we were able to turn it into sliders, so you can share these with your friends at a holiday party or make them for your family whenever you get a craving for holiday flavors. 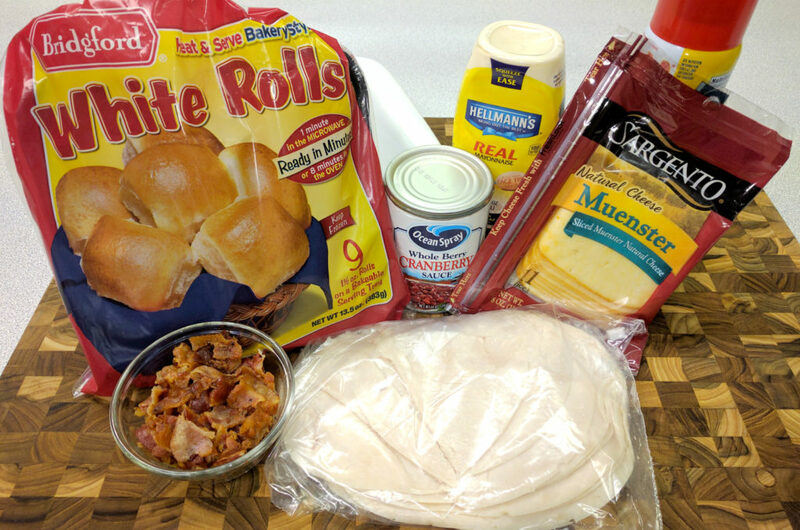 Step One: Get everything you need – bread, mayo, cranberry sauce, turkey, cheese, and cooked and crumbled bacon. The Bridgford® Heat & Serve rolls were really convenient, because I didn’t have to pre-bake them. For this recipe, I didn’t even need to thaw them since it all goes into the oven later on. (It also makes them a little easier to cut when they’re not so soft.) Oh, and if you’re making these after the holidays, you can always use slices of leftover cooked turkey, instead of deli slices. Step Two: Slice the rolls in half. Since these come sort of attached to each other (see photo) it’s really easy! 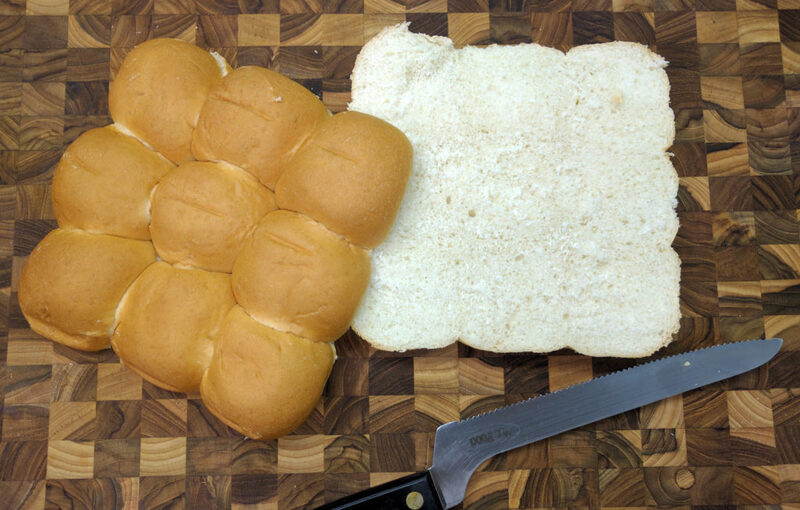 Just put the bread on a cutting board and slide your bread knife through the middle, carefully. Step Three: Make a *magical* sandwich spread by combining mayo and cranberry sauce. Then, slather it on the bottom half of the rolls, which you’ll need to place inside a greased, square baking dish. I know, you’re thinking, “That’s a weird combination…” but trust me on this one, it’s absolutely delicious! It adds just the right amount of sweetness to this mouthwatering sandwich. Plus, it’s pink and pink is a great color. Step Four: Time to layer on the goodness! Start with turkey (don’t be afraid to keep piling it on), follow it with a layer of cheese, and then sprinkle the bacon over all of it. 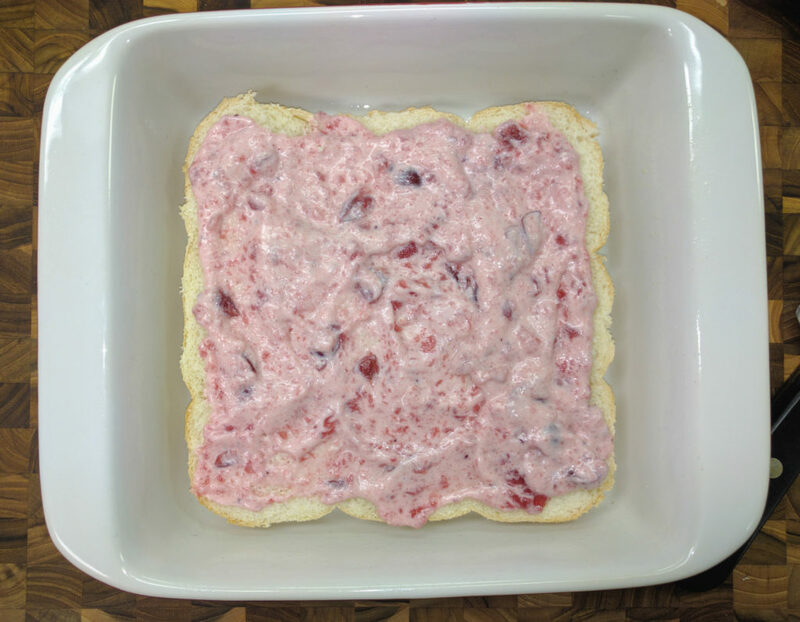 Then, put some more of the cranberry mayo on the other half of your bread rolls and place it on top. 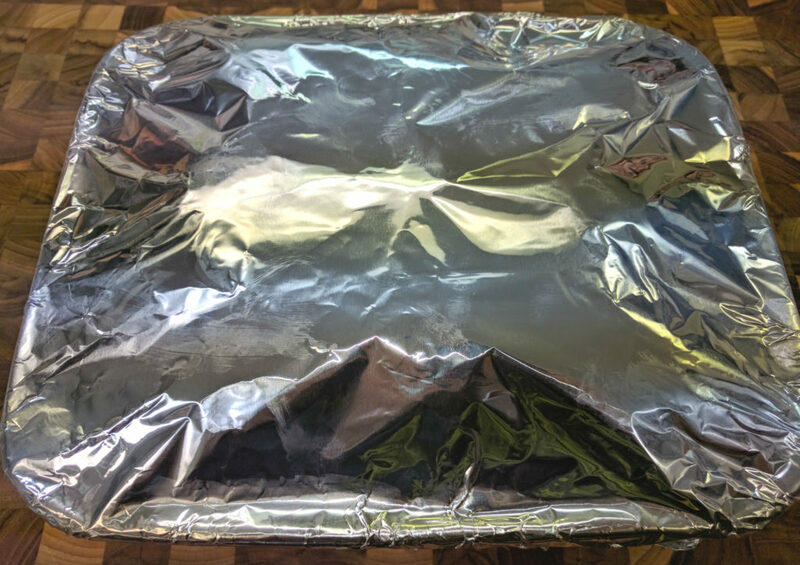 Step Five: Cover with foil and bake at 350 degrees F for about 20 minutes. And when it’s done, just slice between the rolls to make individual sliders, and serve. CLICK HERE FOR THE FULL RECIPE FOR OUR HOLIDAY SLIDERS. 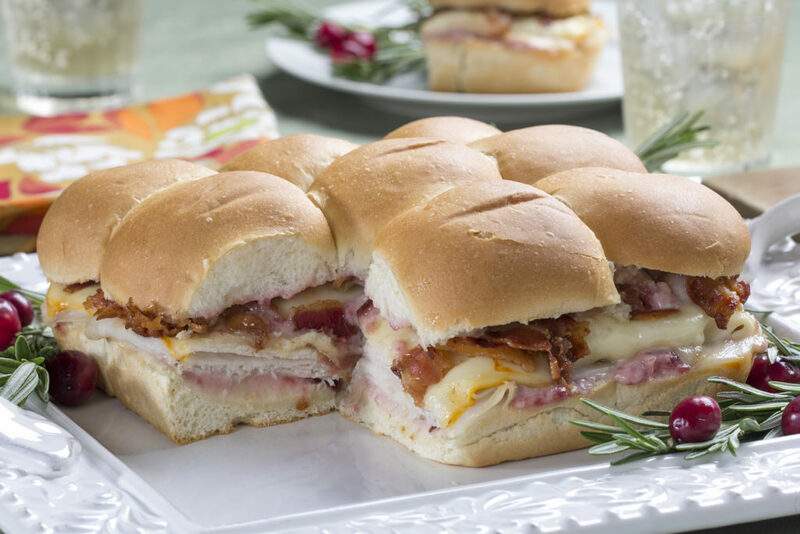 Crispy-cooked bacon, melty cheese, layers of turkey, sweet cranberry mayo, and hearty white rolls. This sandwich is pure holiday bliss (and a lot easier on my pocket!). Have you ever used frozen bread dough? If so, what have you done with it? Thank you to Bridgford® for supplying product for this recipe. This conversation is sponsored by National Frozen & Refrigerated Foods Association. The opinions and text are all mine. 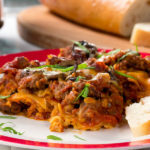 For more ideas and recipes visit www.easyhomemeals.com. Easy and convenient. Couldn’t ask for anything more! Best I could ever muster with frozen bread dough was bread sticks. I layered in veggie pieces, caraway seed, extra butter. Turned out pretty good with my homemade tomatoe soup.